Reading the blog of someone the other day who has helped with finding my way to blogging, I saw that there was an interview of another blogger there. Then the idea entered my head that it might be interesting to see not only what other bloggers say, but also what the people on the other side of the blowtorch think about steel frames, maybe to find out a little bit of their histories and their build philosophies. I then proceeded to write a questionnaire, sent it off to a few builders to begin with, and Doug Fattic was kind enough to develop the questionnaire further than I had been able to. Marten Gerritsen of M-Gineering was the first to return it (Thank you, Marten!) together with some photos, so here is what I hope to be the first of a long series of posts. If any of my readers build frames, pro or amateur, and would like to be interviewed too, I will be happy to e-mail the questionnaire. Please contact me via the comment function of this post. a vehicle with two wheels by definition, but hopefully an extension of your body. a bicycle, just like bicycles made of aluminium, bamboo, carbon or the rest of the alphabet. It just happens that I like steel and build with steel. There isn’t ‘A best frame’ (you’ll need lots of different ones 😉 ) But it starts with good fit and decent tyres. Who is your favourite steel frame builder? Who are other framebuilders you would buy a frame from (if you didn’t make it yourself)? What for you is the best looking frame ever? When I look at a frame I look at all the details, the good, the bad, what can inspire me etc. I don’t bother with marking all the aspects to arrive at a ranking. What type of frames do you build most? Has this changed over the course of your career? 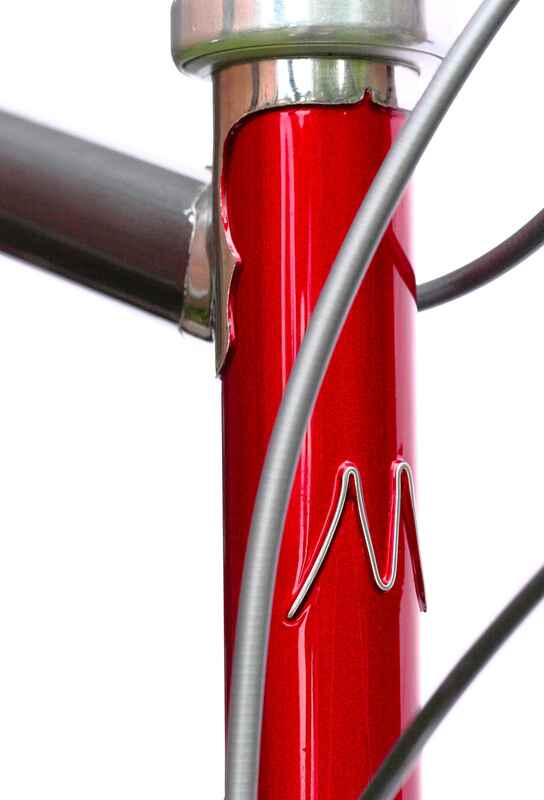 I do mostly touring frames, either randonneuring style or for heavy duty touring in fillet brazed construction. I started out building bikes with front and rear suspension, and the occasional racing bike, but the market has changed. What type of frame do you like best? Which is your favourite cycling book? I could probably recommend half a dozen or more, all for different reasons. But is a cup of tea better than a sandwich? Do you have any favorite cycling references in popular culture (like in movies, TV, or on youtube)? Again, I’m no good in rankings. What advice would you give to someone wanting to become a framebuilder? What made you become a frame builder? When did you start building? Define start. I’ve been tinkering with bikes and scooters from very early age. Got a welding set when I was 18 or so. Who taught you to build frames? Were there others that helped or influenced you after you got started? Taught myself basically, but a degree in Automotive Engineering and teaching machining classes (read drinking coffee with proper machinists) helped. Which customer behaviour do you like best? Which customer behaviour do you dislike most? I don’t let it worry me, if it gets too bad you can always fire them. Do you fit your customers before building them a frame (find their bicycle contact points)? If so, how do you do it? Measure them, run the measurements through a fit programme, measure the current bike, observe the customer riding the bike, compare the findings and discuss their wants. Describe how you deal with customers that can’t be measured or fitted in person. Try to avoid it really, it is much better for both parties and the end result to have met in person and to have talked bikes. Which of your tools would you least want to do without, save whatever you use for brazing? What methods do you use to check frame alignment? What type/brand of fixture/jig/tooling do you use in it? I’ve got a 1x1m cast iron surface plate, all other tooling and fixturing is of my own making. I align the rear triangle to the headtube, the BB is secondary. What equipment do you hope to get in the future? What would you get if you didn’t have budgeting restraints? What is your preferred way to join tubes? Which are your preferred lugs, if any? Why did you choose them? What are your other favorite materials? 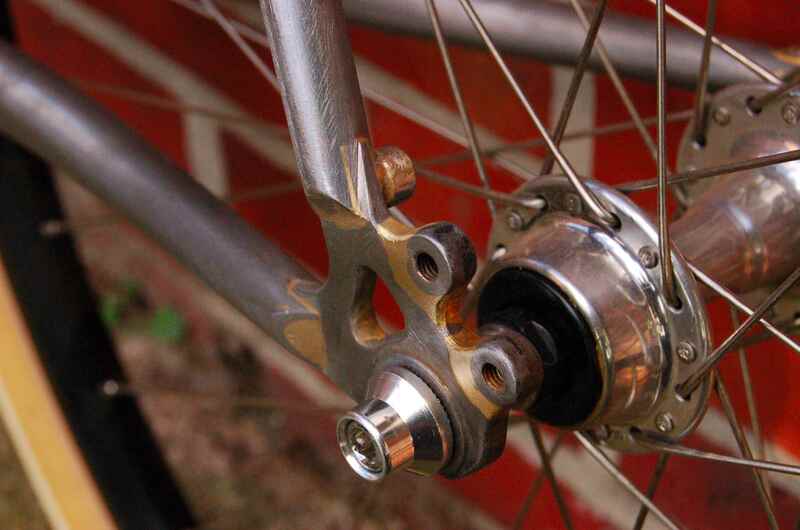 Don’t do much lugs apart from forkcrowns, and usually use flat dropouts for slotted stays. Basically I use whatever does the job, and is affordable, I don’t have much call for the ueberfancy stuff. I like doing the occasional bilam though. What differences do you see in tube brands? What brand(s) do you prefer? What is your philosophy in choosing tubing brands, diameters and wall thicknesses? I use a lot of Reynolds as they have gauges suitable for touring frames and are a reliable supplier. But a frame could easily have Reynolds frametubes, Deda stays, a Columbus steerer and some Mannesman cromo. Do you expect/wish for any new developments in tubes or lugs? With all the classical suppliers going to the wall (Like TCI who made most of the forged dropouts) we’ll see the continuing trend to parts made with processes more suitable to small scale production. What do you think the future will hold for steel frames? What process do you use to design your frames? Determine the basic dimensions defining fit, the wheelsize , the loads and the desired look, feed it into a computer program i’ve written and play with all the variables untill i’m happy. If things get complicated I’ll make a 2d drawing. 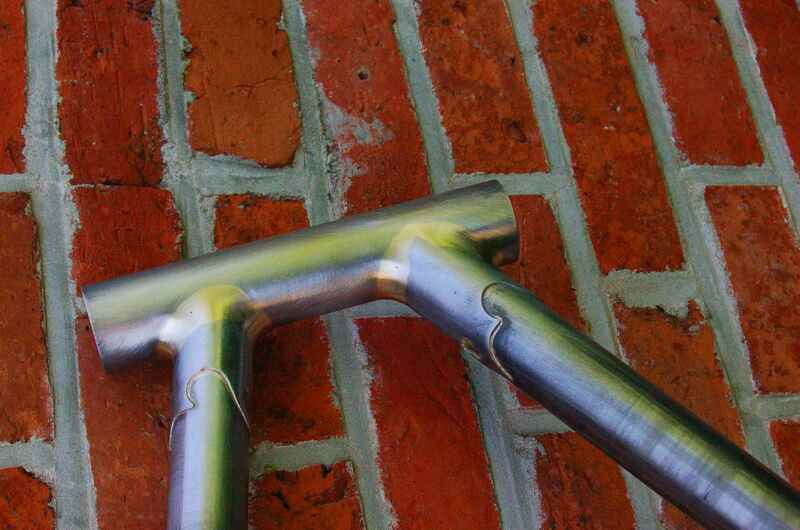 Do you paint your frames yourself? If so, do you offer repainting services? How important are the looks of your frames? Describe any artistic aspects you incorportate into them (or can do if asked). The frames I build are tools to do a job. Styling is secondary to function, but I’ll play with dropouts, seatstay attachment, the shape of the bridges etc. But you’ll have to look for it, I try to keep it restrained. How do you market your frames? Where is your biggest market? Approximately how many frames have you made to date? I’m not counting, maybe a dozen a year on average. Would you disclose your frame numbering system, please? Ask yourself an additional question, please. Photos courtesy of Marten Gerritsen/M-Gineering.